We are very pleased to invite you to the 34th "Football Player's" Awards Banquet, honoring the Best in Football for the 2014-2015 season. 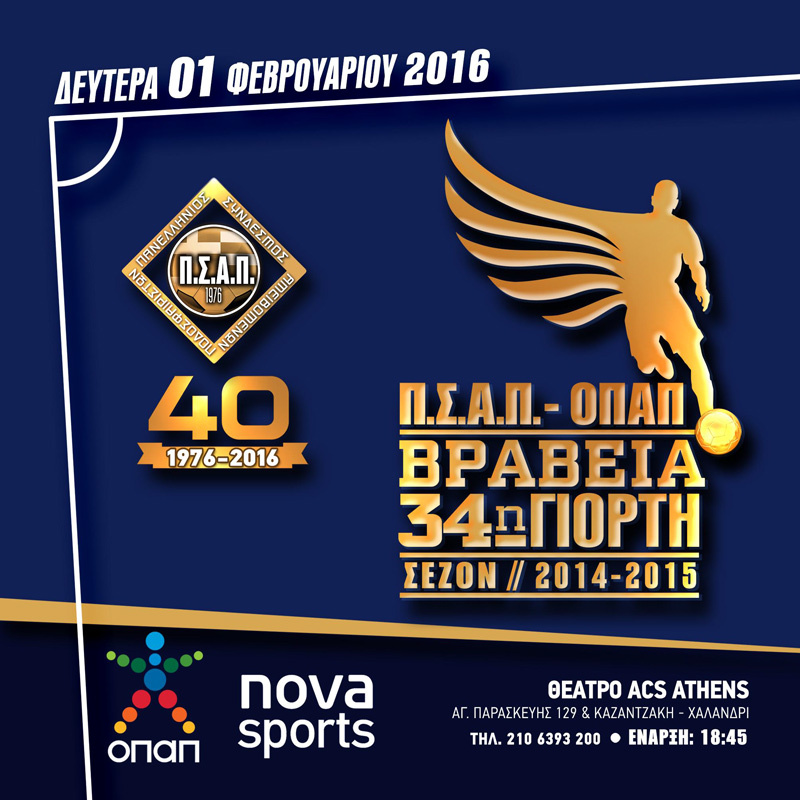 The Banquet is a 2 hour event, organized by the PanHellenic Professional Football Players Association (also celebrating its 40th anniversary) in which the Best Football Player, the Best Football Coach and other similar awards will be presented. 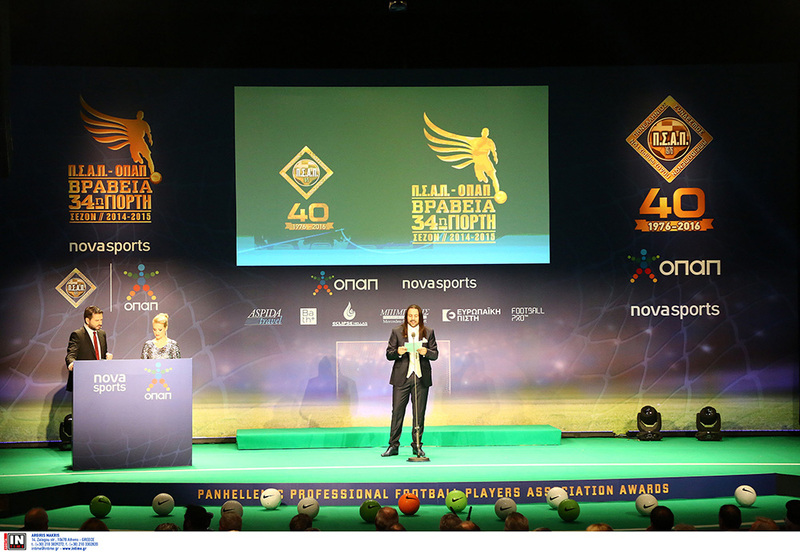 The Banquet will be covered live (NOVA Sports) and, in addition to a large number of professional athletes, other media, dignitaries and government officials will be present.